You may be interested in buying embroidery products. Our massive community of bargain hunters has gathered the best cheap embroidery offers, deals, and voucher codes. Shopping for items can be made so easy and affordable when you use voucher codes and special offers from reputable retailers. Discount codes are also up for grabs for a limited time so don't miss it. Purchasing different embroidery products can be as easy-breezy when you know where to shop for the best deals. Get big savings and purchase from Amazon, House of Fraser, Debenhams, and other UK sellers. Embroidery is the craft of decorating a piece of fabric or any kind of material with the use of yarn or thread. The thread is sewn to the fabric using a needle. It can also incorporate various materials including sequins, quills, beads, and pearls. Embroidery is usually seen in golf shirts, stockings, denim, dress shirts, blankets, coats, hats, and caps. It is available in a wide array of yarn and thread colour. There are also various kinds of stitches. 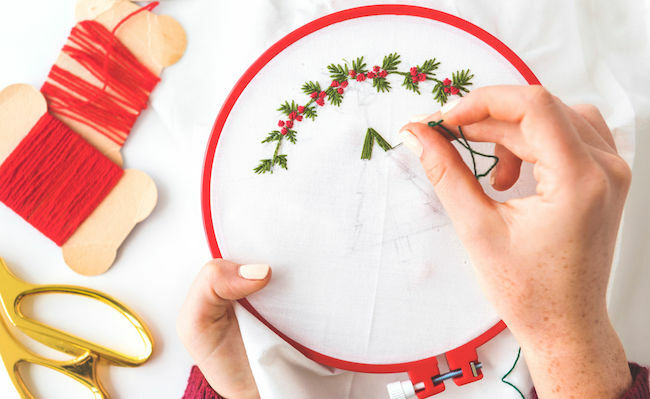 Some of the most common stitches and basic techniques are cross stitch, satin stitch, running stitch, blanket stitch, buttonhole, and chain stitch. These kinds of stitches still remain as the fundamental techniques in hand stitching. In the old days, embroidery is a process to reinforce, mend, patch, and tailor cloth with the use of various sewing techniques. Decorative possibilities of such sewing led to the art of making embroidery. There were no major changes in the materials and techniques used in embroidery. The only changes that were made are that the stages of making embroidery are more refined. Today, embroidery can be made by using machines. This can provide a high standard of craftsmanship which is rarely attained in the early days. Embroidery has been practiced in the different parts of the world for a very long time. Embroidery is the art of decorating fabrics and it makes things look even more beautiful. The materials used in embroidery may vary. You can use various kinds of materials including silk, linen, and wool. There is also ribbon embroidery that is commonly used for fabrics that are used for weddings, anniversaries and other special occasions. Today commercial machine embroidery makes everything faster and it can even finish intricate designs more efficiently. Machine embroidery is also used to add monograms or logos to jackets, shirts, and apparel. It can also be used to decorate decorator fabrics, draperies, household linens, and more. Which Embroidery Machine Should I Buy? Luna Moth Printed Embroidery Kit. 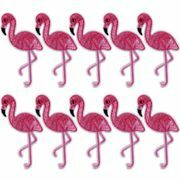 This is a pre-printed fabric square embroidery kit which includes all the floss that you need. It also includes a needle and a hoop. It has a beautiful background shading to fill your embroidery in various colours. Wall Hanging Circular Sampler Kit. The design of this embroidery is simple and it is perfect for beginners. You can choose from several colour options. Create a different look or design with the same stitching technique. The sampler uses simple circles. It also very easy to trace the stencils and pattern lines. Under the Sea Embroidered Tote Bag Kit. This tote bag has a simple design. This kit includes a silk-screened tote. It also has all the supplies that are required to do your embroidery. My Embroidery Kit for Kids. This is an embroidery kit that is easy to find online. It even has instruction on how on make an embroidered headband. It also has all the basic supplies that you will be needing to do your projects. Sublime Stitching. With this kit, you can make your own pillow embroidery design. Transferring patterns to dark fabrics can be a little tricky but the pattern is already printed on the pillow cover. All you have to do is to make the stitchings. If you are looking for embroidery kits or cheap embroidery machine for sale then you came to the right place. 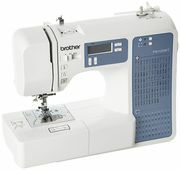 There are even a lot of Brother embroidery machine for sale online and on other quality brands. Take advantage of the different kinds of quality cheap embroidery deals available on the market today. You can look for excellent Craft Essentials deals online with just a few clicks away and you can do it in the comfort of your home. Spending money on quality embroidery kits that are offered by reputable UK retailers is a great deal. You can also get quality embroidered work jackets with just a few clicks and you will definitely save a lot of money on your purchases. When buying embroidery kits of embroidered items online, you can save a lot of money if you buy in product bundles. You can also choose from a wide variety of embroidery designs and products. We will also assist you with your purchases so that you will get great value for your money. Polo shirt logo printing is very popular nowadays. You can also get personalised embroidered clothing online. You can go over our list of latest embroidery deals and offerings brought to you by our community of bargain hunters. Take advantage of special offers from clearance sales and enhance your shopping experience from the best options. You'll never go wrong when you purchase quality craft items for sale that popular UK retailers are offering. Check out the embroidery kit offers of popular UK retailers and see which deals are the most affordable and reasonable.